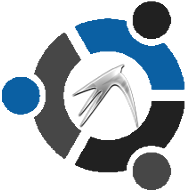 Lubuntu is probably interesting especially for the Ubuntu users who have been looking for a lightweight Ubuntu derivative to use on some old box. I would like to see how this compares to CrunchBang. I know EEEbuntu was also working on a LXDE version. Looks lice a cool OS. Downloading now. The last 10.4 Lubuntu version has been release for a while and this is a great version.